Pochinki,winner winner chicken dinner,battlefield,safe zone circles and so on if you are unaware of these words till now, then probably you are living under a rock. All these words or phrases are so common in hearing nowadays as they are used in the online game which has revolutionized the gaming experience of people. Players unknown battleground or popularly known as PubG, is a game in which a total of 100 players parachute onto a battlefield of their choice. With the help of their gathering skills and survival instincts players have to fend off and kill other players to win. During the gameplay, the safe zone circle in which players will stay safe and not suffer any damage keeps on getting smaller, to make the game much more challenging and interesting. The last man standing is declared the winner, and gets the chicken dinner. With its graphic intensive playback, PubG is one of the heaviest mobile games with an average file size of 1.63 gb. PUBG can be played solo or in a team of two to four. Matching is automatic and quick. Once the game starts, you get to speak to your friends or chat with them using an on-screen chat box. After each game, your performance is judged on parameters like survival instincts, damage done, total kills, supplies collected, and support provided to team members. Recently, PubG has become one of the most popular games on mobile in India, and a recent survey shared by Quartz in partnership with Jana shows that close to 62 per cent of the respondents said they play the game. According to a KPMG report, the Indian gaming community had 120 million people back in 2016, and with the help of lowered data costs and games like PUBG will have an estimated worth of $1.1 billion by 2021. Globally, this highly addictive game has over 200 million downloads and 30 million active users. The popularity of the game can be seen by the facts that there that it has spawned PUBG Mobile Campus Championship with a prize money of ₹50 lakh—a rarity for online gaming tournaments in the country. 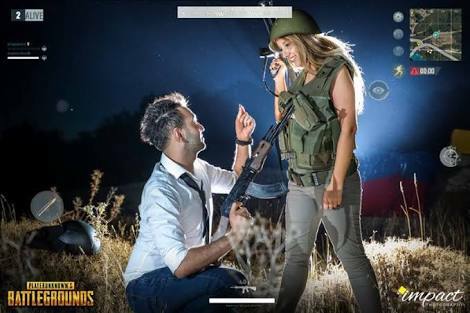 PubG themed restaurants have also opened in some parts of the country and even Pre wedding photo shoots based on the game theme have also become a trend. The irony with the game is that it has rolling hills and lush valleys, and there are little villages dotted along the coastlines. Just one thing, though. Everyone here wants to kill you. Whether you like it or not,you are an addicted player or an amateur, you cannot avoid the impact of the game. The game is so interesting,random and deadly and there’s no escape. Eventually you are going to run into someone else and the consequences will be sudden and devastating. 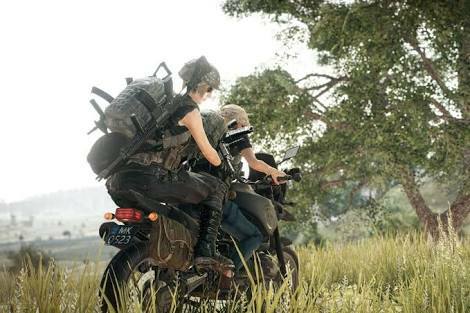 Not only does PUBG let you tell your own stories, it lets you tell the stories that make sense in our times: there is chaos, there is fury, and every encounter is loaded with dread and horror.